This was my first time making a shirt collar! Can you believe it? 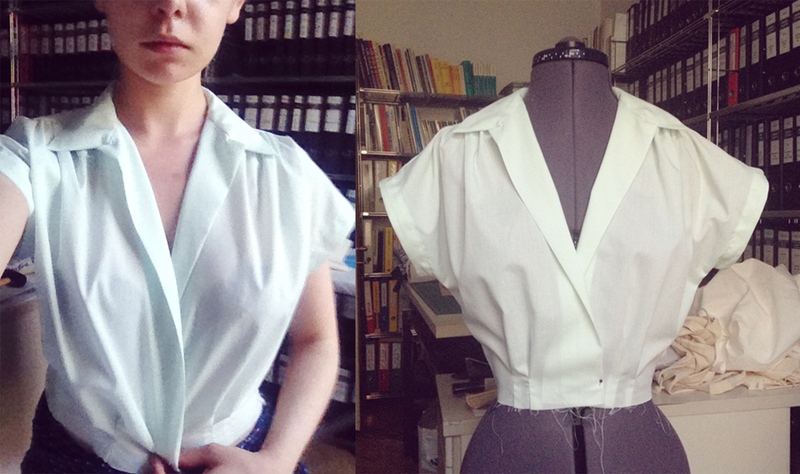 Actually now that I think about it, this is only the second blouse I've ever made. The instructions for the collar weren't very elaborate, but I figured it out and it turned out quite well. Ok, let's talk about fit: I didn't make any alterations to the pattern before cutting the fabric, and as was to be expected there is too much fabric at the front because I'm short-waisted. It looks a little frumpy, so I'm going to fix it by sewing the front waistline tucks up higher and converting the back waistline tucks into shirring (this is also mainly for comfort). Other than that it fits quite well I think, so I hope these small alterations will be enough. It looks weird and wide on the mannequin (I think because she has no arms, poor thing), it's much softer on a real person! I'll get better pictures next time. After I fix the fit issues I'll have to choose buttons. I recently got a bag full of delicate looking vintage gold buttons in various sizes, they're made from some sort of fine metal netting (hard to explain, I'll post pictures soon) , I might use those. I feel like this blouse needs "statement buttons". 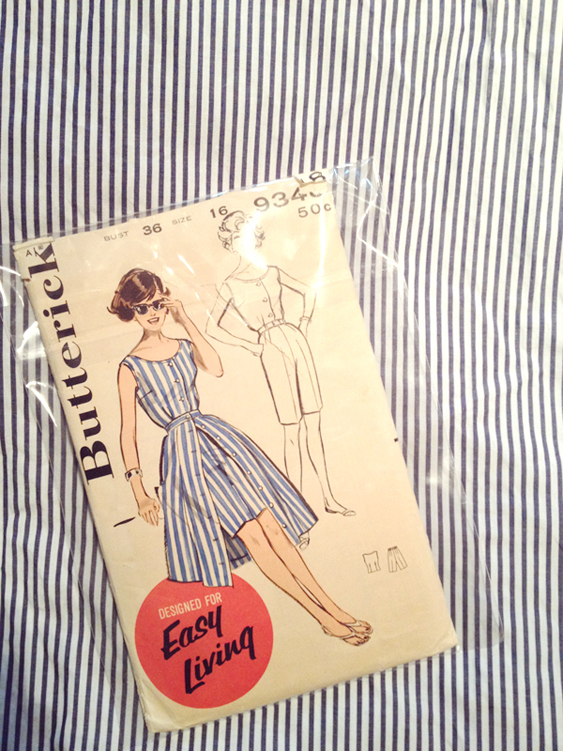 Today I went fabric shopping in Zürich, I picked up some blue and white striped cotton for Butterick 9348 (the tank and shorts), blue poplin (for the dress based on McCall 6752 as mentioned above, I'll do a seperate post on that one!) and emerald green viscose (is it rayon in English?) crepe. 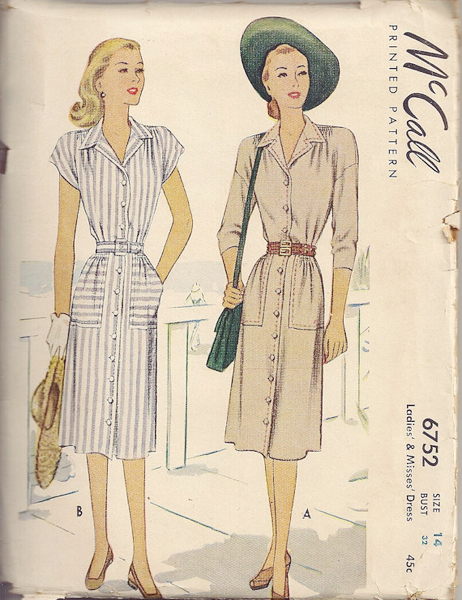 I plan to make a comfortable, flowy summer/fall dress with the green crepe, as pictured in the sketch below.